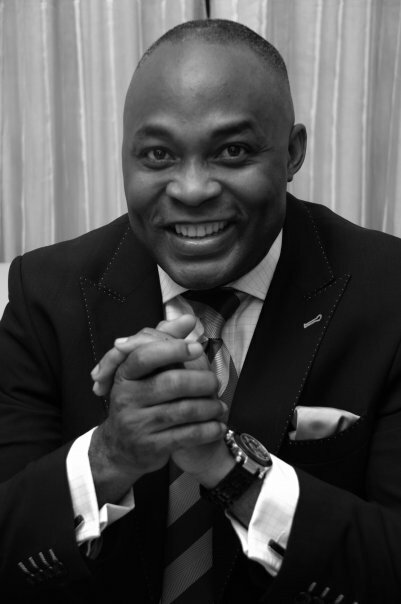 Emerald: Is RMD taking wife number two? Is RMD taking wife number two? Remember how Tiger woods had an accident that led to the press uncovering all those extra-marital affairs he had? Yes, this sounds like de ja vu because RMD was involved in an accident some weeks ago and a magazine is reporting something similar. According to News of the People, Nollywood actor, lawyer and now Delta State Commission for Culture and Tourism, Richard Mofe Damijo, popularly known as RMD, has taken another woman as wife number two to his darling known legal wife, Jumobi Mofe Damijo, nee Adegbesan. According to this magazine’s very reliable source, the indications, which before now were not easily substantiated, became allegedly evident after the handsome actor survived a fatal auto accident months back. On the heels of the accident, there were random reports in several tabloids and electronic media that RMD, his driver and an unidentified occupant in the vehicle were the survivors of the road mishap. Our investigation through our source, has however confirmed that the unidentified occupant of the vehicle was actually a lady, who interestingly had with her a baby. This lady, we were told, is allegedly said to be his secret wife, while the baby is RMD’s own, both of whom are said to be domiciled in Asaba, capital of Delta State, where RMD presently stays officially as a commissioner. Further reports that also lend credence to RMD’s alleged second wife tale, reveal that those who witnessed first hand the scene of accident moments after it happened said miscellaneous baby materials and nursing wares were scattered all over the place, but nothing of this sort was ever reported in virtually all the stories that were circulated then, except for the fact that RMD was recuperating and that the driver was in a coma or severely injured. Our impeccable source says that aspect of the accident was cleverly left out of the vis-a-viz RMD’s subsisting legal marriage to Jumobi, who already has three kids for him, but stays in Lagos with her kids, somehow operating as the Bureau Chief of the RMD home front in Lagos, while the other woman and her baby keep the Asaba, Delta state end. Whether Jumobi is or was aware of this development of her husband, RMD, whom she staged a rousing 50th birthday bash last year, is still conjectural, but it was not surprising to many that in the wake of the accident involving her husband, she never really made any spirited attempt to promptly visit her husband in Asaba, despite the national tension it created in the Nollywood and government circles then. Rather we learnt that the former AIT presenter was during the period busy preparing for her 40th birthday anniversary which she eventually held amidst pomp two weeks later. But from some of the facts we could knock together, we gathered that all these arrangements seems to be in the know of both RMD and Jumobi, where Jumobi for now takes care of the home front in Lagos where the marriage was actually consummated and subsisting peaceful before RMD’s call to duty in Delta State; while the yet to be identified woman, conveniently holds forte as the second wife at the Asaba end of RMD’s alleged dual marital status. But all these, according to what insiders are claiming are everything but the truth. Could they?